Another great successful project with the new machine. We’ve been thinking for a long time of clearing out the woods above Hidden Oaks Prairie – there’s a triangular area inside the loop our path makes that has large oaks, and savanna plants underneath, but it’s a thick tangle of vegetation that we can’t even walk through easily. 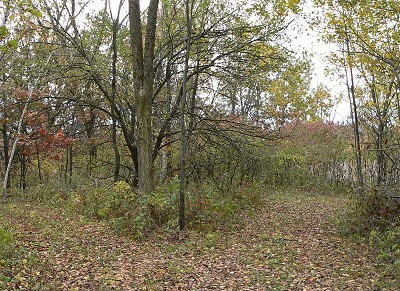 We spent all of Monday working on it – Mike mowed with the powertrack, and I pulled out old slash and dead fallen trees. Then Mike cut down the smaller trees and the birches, and I made piles of the cut pieces. Finally Mike put the bucket on the powertrack, and picked up all the piles and made a huge burn pile in the Narrows Prairie. It looks great! Now you can see all the way through from the Meadow to the prairie. 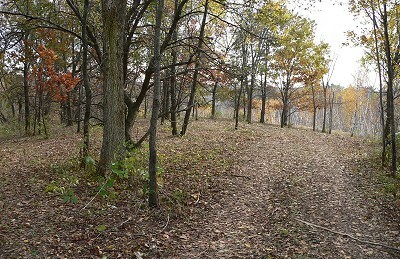 We left all the old, large oaks – there are a few Red Oaks, and most of the rest are Hill’s Oaks. I think we’ll come back sometime and thin the trees out a bit more – there are still too many trees for a savanna. 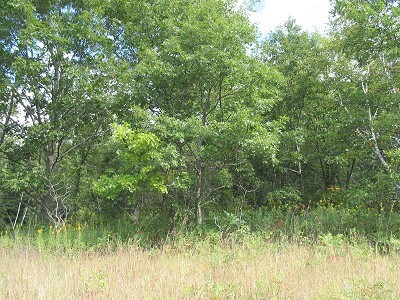 There are a few small Burr Oaks, which we left, but most of the Burr Oaks are just east of the area we cleared. 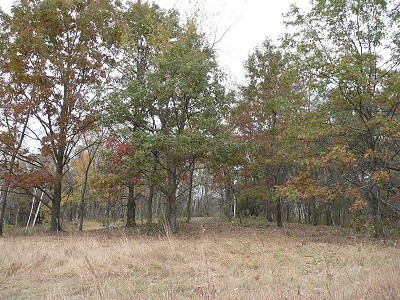 That area will be next – it has several huge old Burr Oaks, and dozens of small ones.